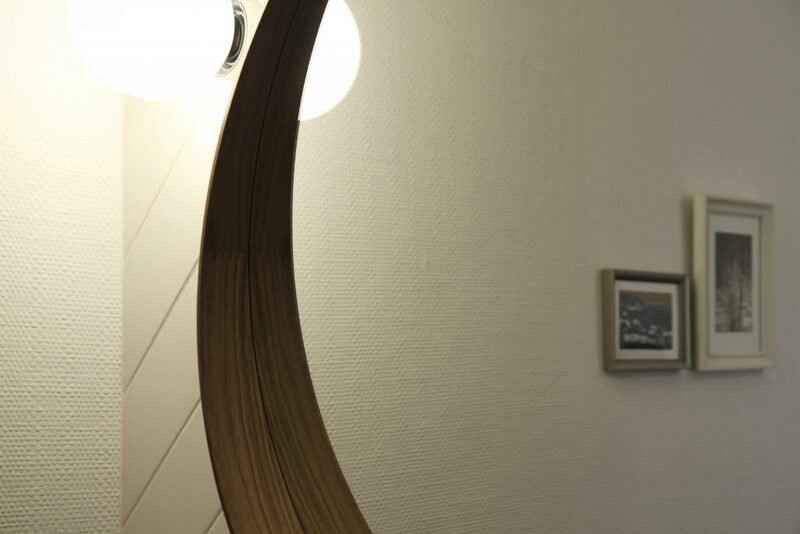 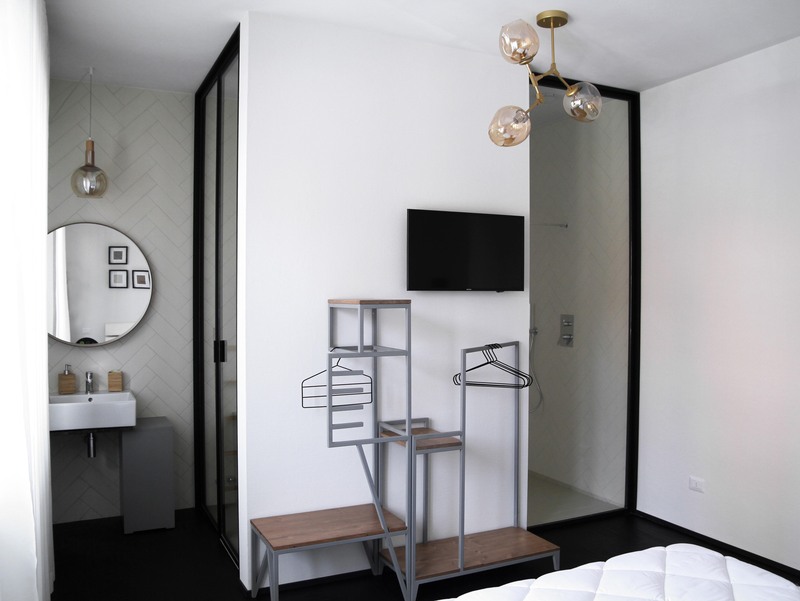 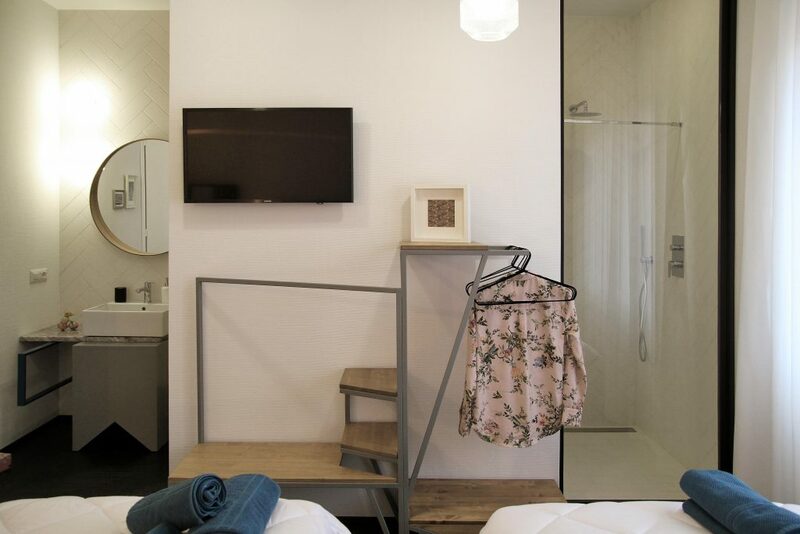 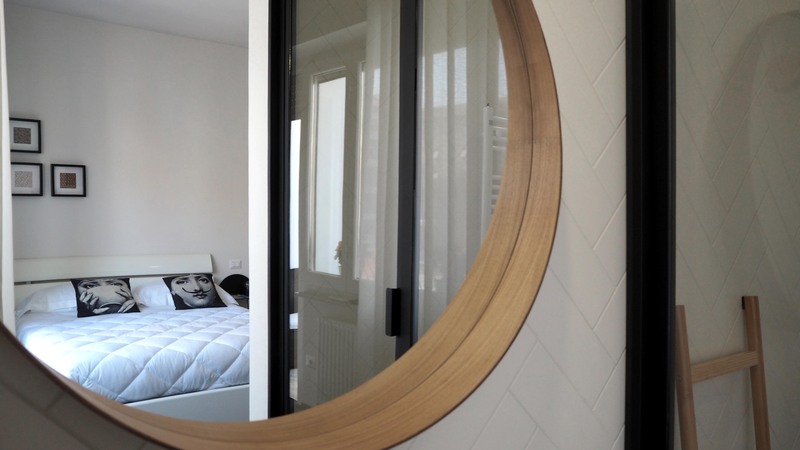 The aim behind the design was to perceive the bedroom and bathroom as a continuous space. 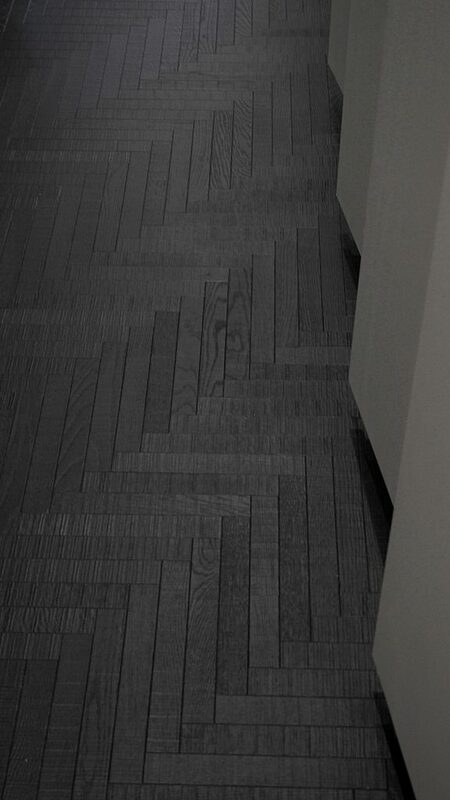 The main flooring is in wood in a herringbone shape and we also chose to use the same texture in the bathrooms. 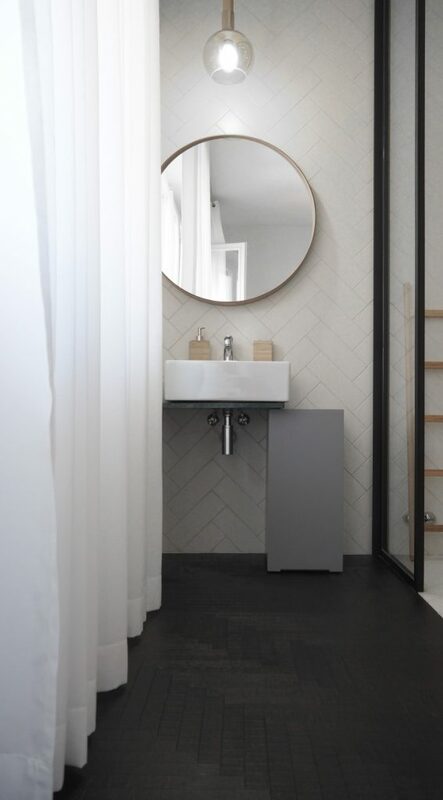 The bathroom with the visible sink leads to the toilet area, which is hidden but positioned behind a glass wall. 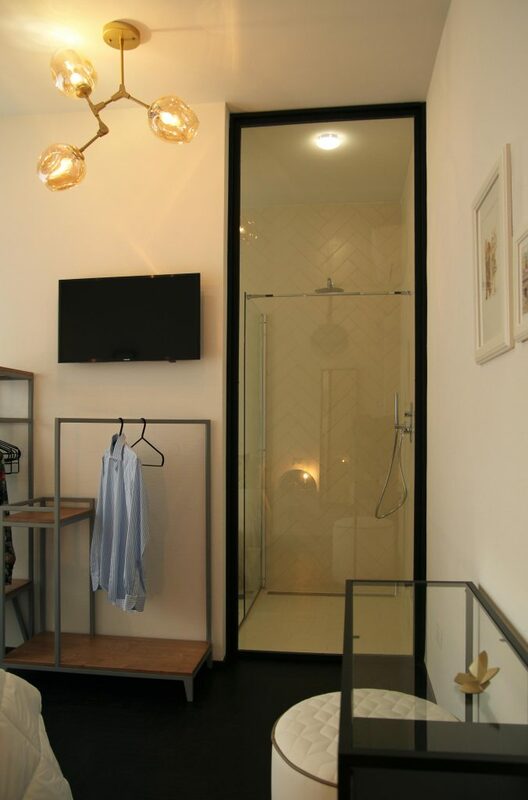 Opposite the shower is the interior of the bedroom, with a partially transparent wall that reveals the size of the whole room. Elements in the Coloranda collection were the perfect size and colour shades for our aim of creating a bright, single space/bedroom. 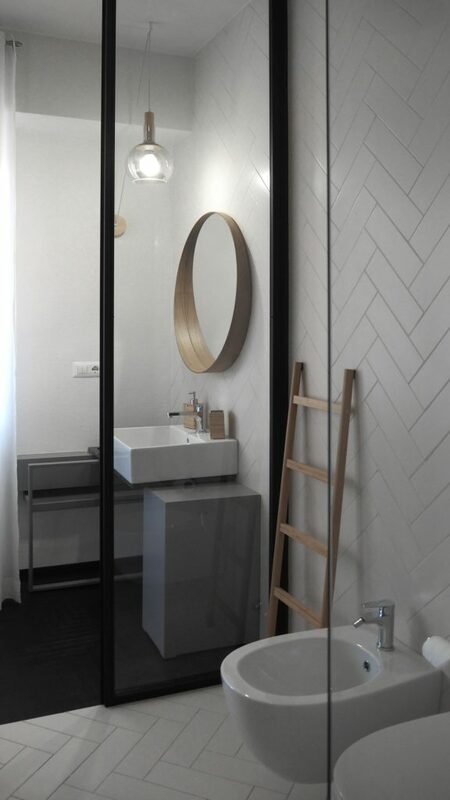 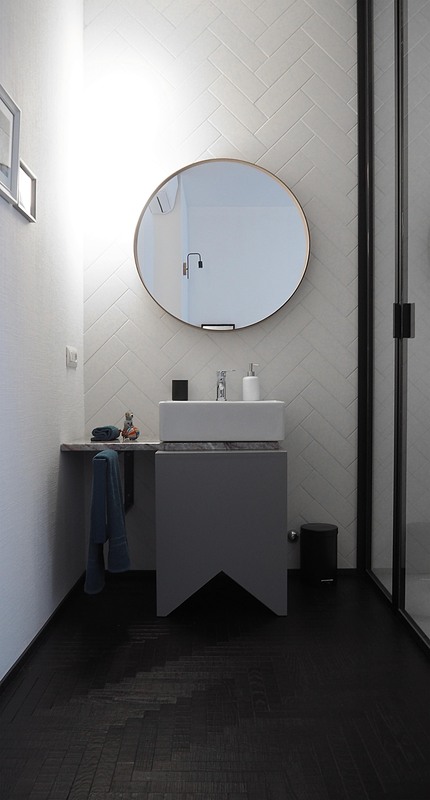 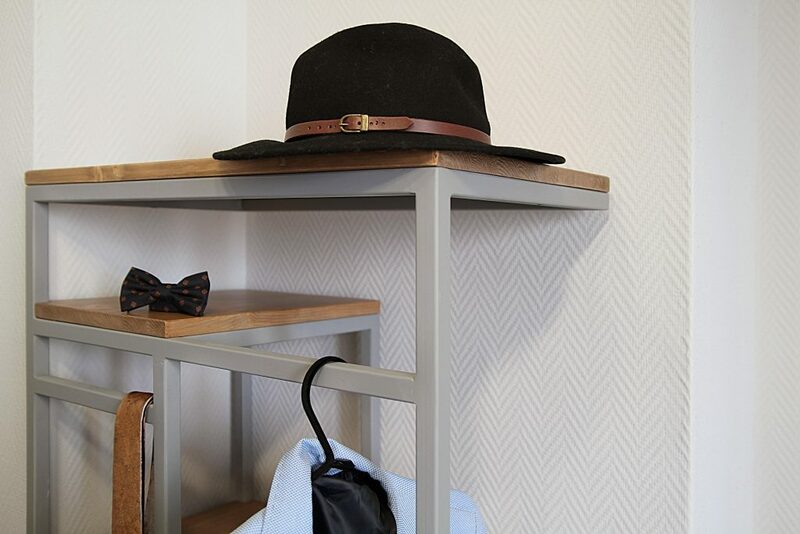 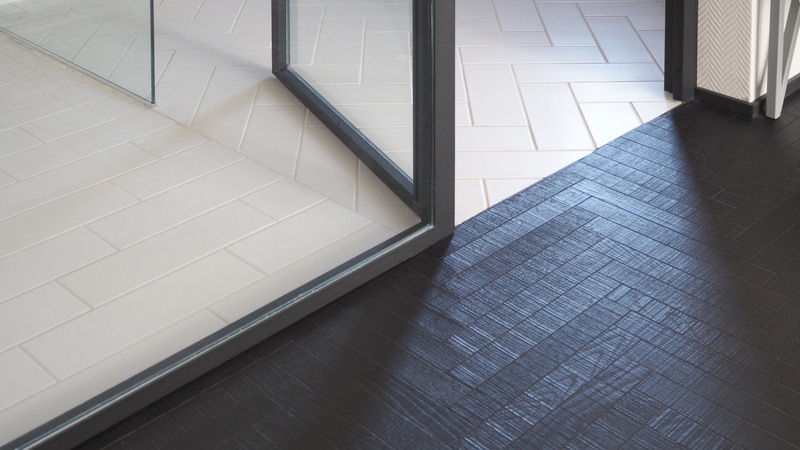 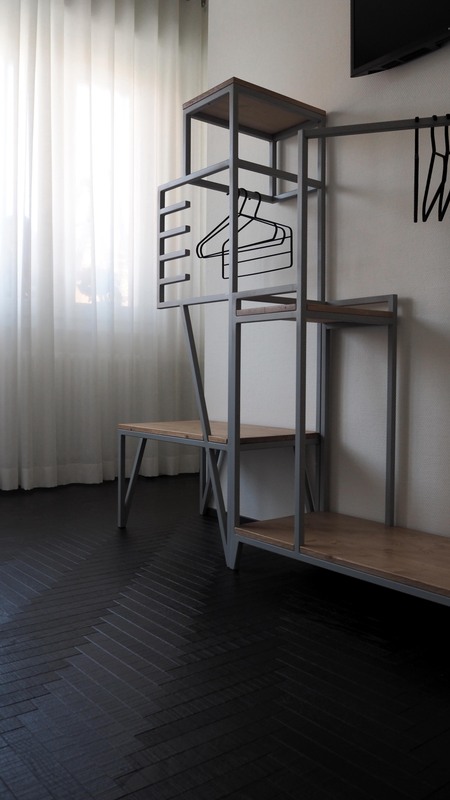 The tiles, in the same shade as the bedroom walls, were also laid in a herringbone shape on the floor, to cover the walls until they meet the ceiling.